You are currently browsing the daily archive for April 4, 2007. 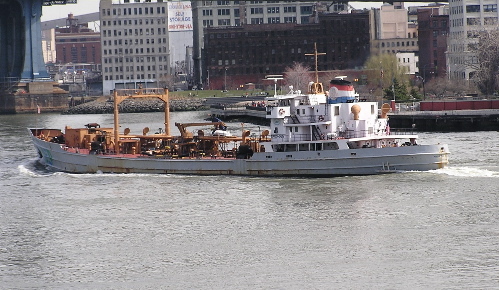 Ferry is to passenger transportation as this gray vessel below is to . . .. Wait . . . what is this vessel? Technically, it’s called a sludge vessel, and if you completed the analogy by saying “sewage dewatering,” I guess you’d be right. 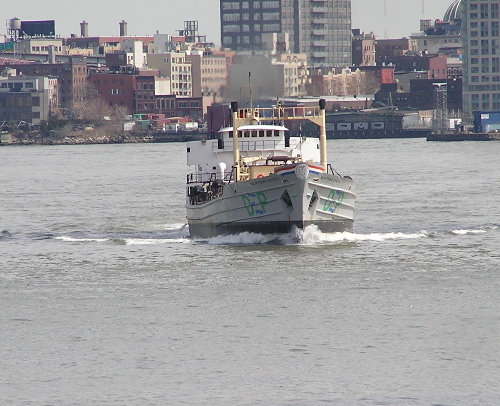 New York City DEP runs at least three of these vessels. 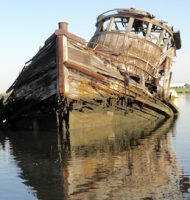 Read this article, linked to previously in November, for the connection between these vessels and fertilizer in the USA. 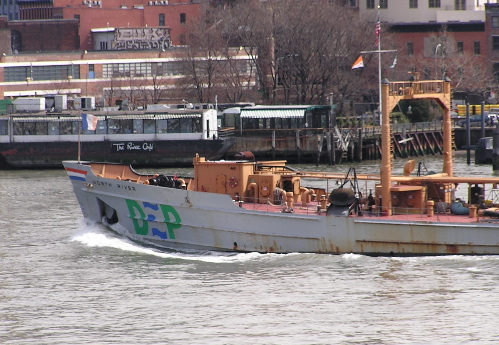 From what I’ve been able to figure out, these replaced older vessels like Coney Island, now part of a a reef off New Jersey. Given what they carry, I’m always amazed by their speed and style. Anyone supply date and place they were built? Other particulars? One of my previous shots of a sludge tanker was here, the last in that post.